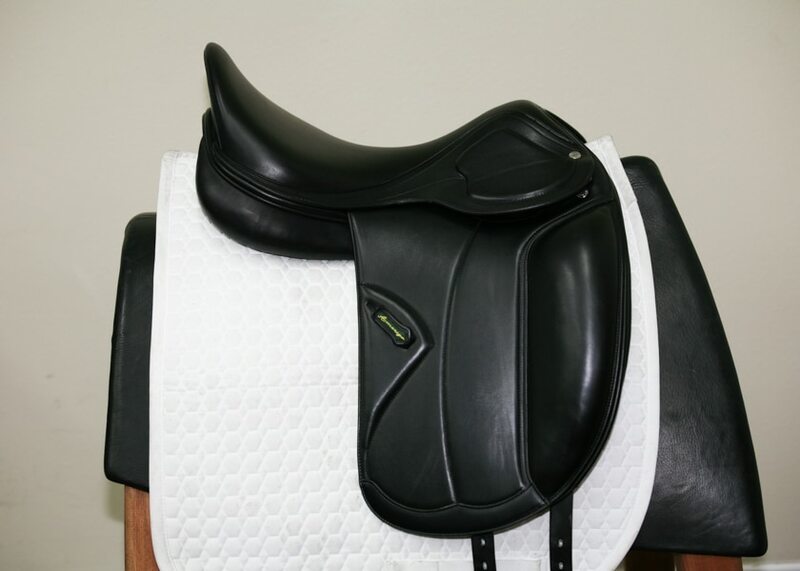 Special order options: This saddle may be ordered with cowhide (rather than calfskin) leather for $5,500.00. 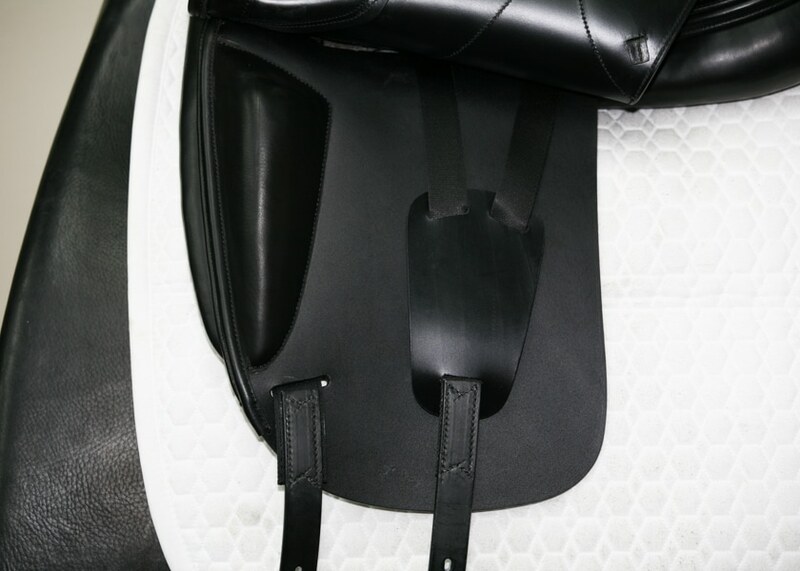 As with all Amerigo saddles, the Classic Dressage may be ordered with custom options for flaps, tree width, panel density, and more. Please contact us for more information. 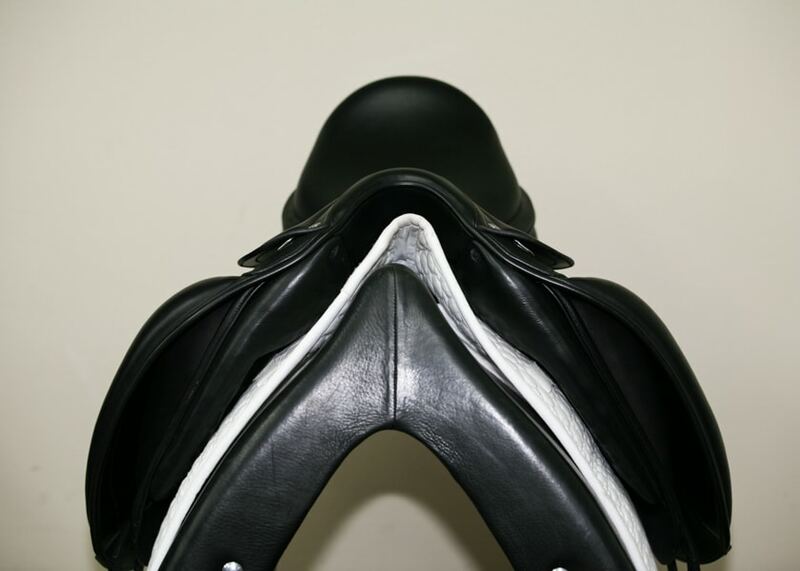 Peter Menet’s first priority as a saddle designer is to create saddles that allow horses to move freely, with the weight of the rider placed as far forward as possible to minimize strain on the horse’s back. The unique seat profile of the Amerigo places your hips in the same position as they would be if you were standing in a balanced position on the ground. You are sitting in a relaxed, balanced way with gravity working in your favor without having to use force to hold your position. While Menet’s design philosophy puts the horse first, it by no means ignores the rider. 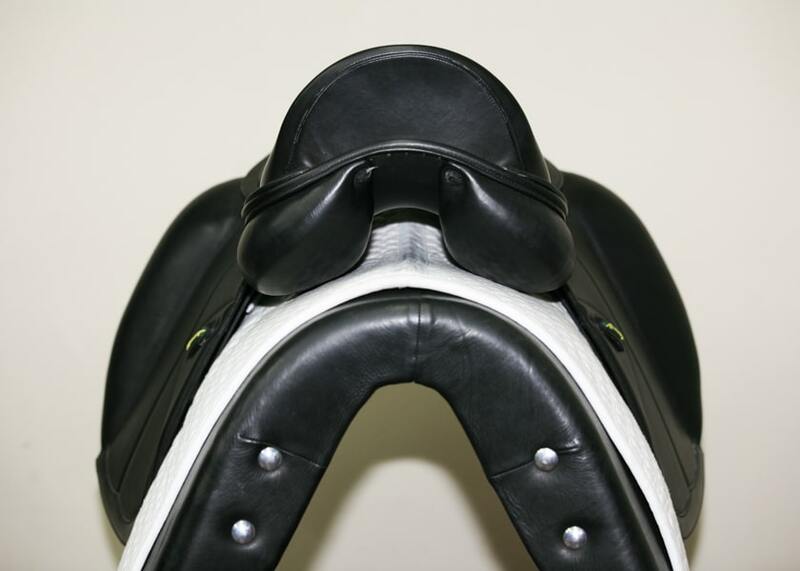 For Menet, fitting the saddle to horse and rider are inseparable – almost literally the two sides of a coin. 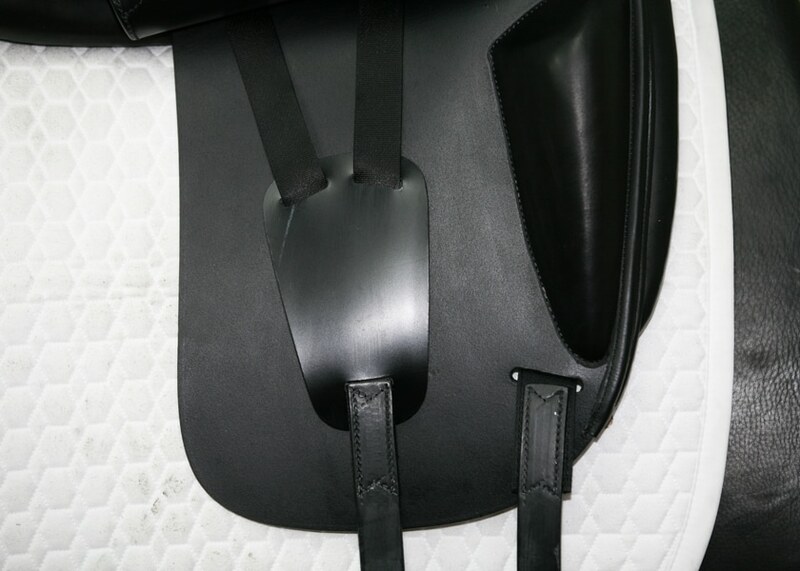 Amerigo saddles and accessories are made with the highest quality, naturally tanned leathers. Some leather care products on the market may not be suitable for use on this type of leather and could be damaging. Amerigo recommends the use of Amerigo’s own leather care products which have been specially formulated for use on Amerigo’s own leather. 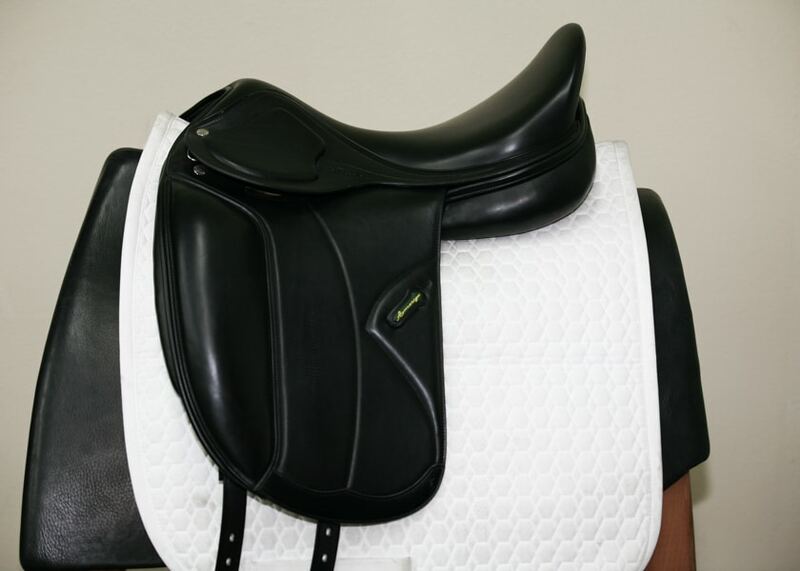 Amerigo saddles should be routinely cleaned with Amerigo Soft Clean Soap, with the periodic use of Amerigo Soft Balm Conditioner when required.